Like ag universities and colleges, Commodity groups also often look for better ways to educate the world about agriculture. They don’t just teach consumers, though. They also use their teaching tools within the agricultural community. These needs are what led Michigan Soybean to seek us out for a soybean plant model project. Because the plants that Michigan Soybean ordered for us would have both an internal and external use, we knew that our models would have to equally balance two qualities. 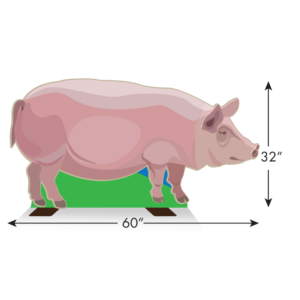 For the sake of the “unfarmed,” these plant models would have to be equipped for educational use. Something that could represent reality in a way that is memorable and understandable. For the sake of the “farmed,” though, these plants would also have to be extremely accurate and realistic. Thankfully, in plant replicas, these two qualities don’t often conflict with one another, and a few simple, built-in elements would make it possible for uninformed consumers to easily learn from these intricate educational props. These elements included little identification signs and optional tags to attach to the branches. Using these labels, newbies to the world of soybeans can begin to identify the look of a plant with a specific growth stage. 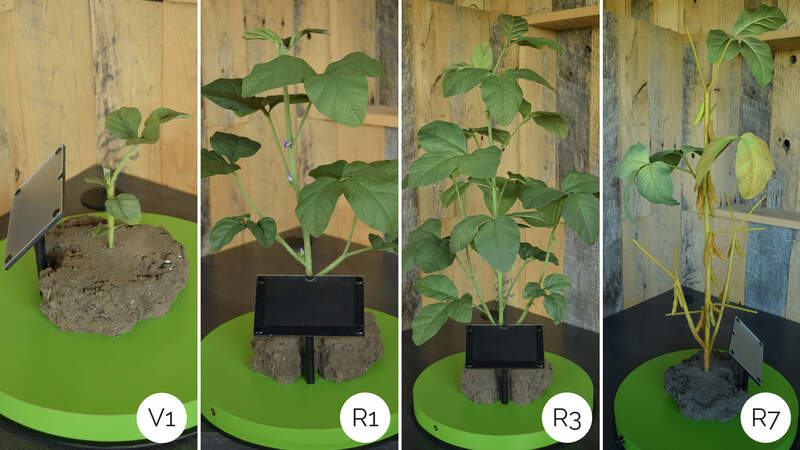 Despite these learning aids, we still did our best to make the plants realistic enough to fool even the most observant farmer–even though it may only be for a split second. That way, the folks who know what these plants look like at each stage can take these learning tools seriously. 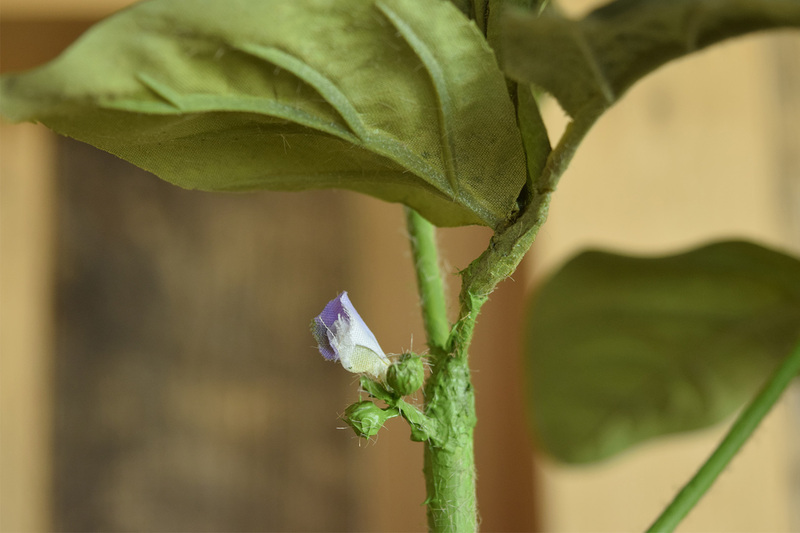 That’s why we took steps such as engineering a way to replicate the fuzz on soybean leaves and stems, hand-painting the leaves to resemble the plant’s colors at different stages, and recreating soybean pods precisely sized for each stage. We also created a plant of diseased soybean leaves. Even though the plant showed such a variety of maladies that it was hardly accurate to reality, we took the time to put realistic detail into the color and texture of the leaves. So, while effectively displaying the large number of diseases, it also stays true to the details. When enclosed within the lightweight plastic cover provided, these soybean plants are simple to bring from place to place. 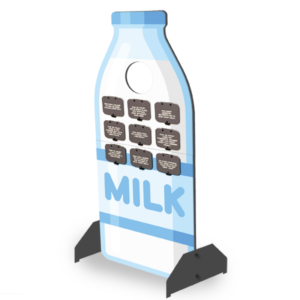 A handle at the top makes for a portable display case, making these display elements a no-brainer tool to bring to events. 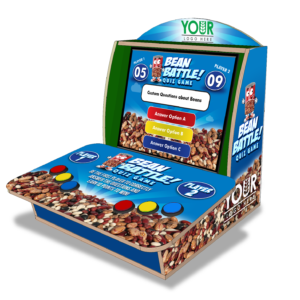 Secured to the bright green base by a foam holder meant disguised as dirt, the unit is sturdy enough to withstand a bumpy car ride or the clumsy hands of an inquisitive kid. If a picture speaks a thousand words, then a 3D model speaks a thousand words more. That’s why learning tools like this one make such a big splash at events. They bring agriculture to life in a way that a sign or a book can’t. Plus, they stay in the same stages year round, making it possible to examine soybean growth even when all the real soybean plants are gone in the middle of winter. Could you use your own set of plants? 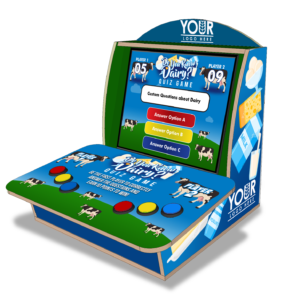 To learn about purchasing options, contact us at info@exhibitfarm.com or visit our catalog. 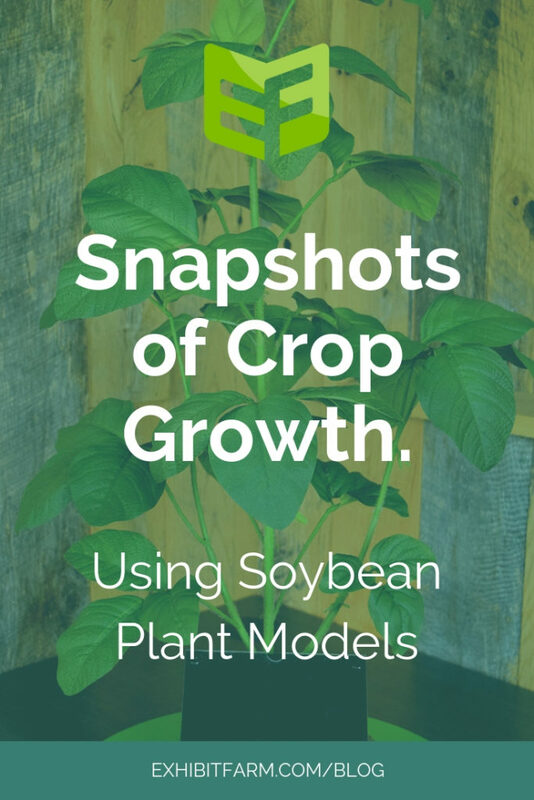 There, you can check out our soybean models, corn models, and alfalfa models.